What Are Temporomandibular Joint Disorders? 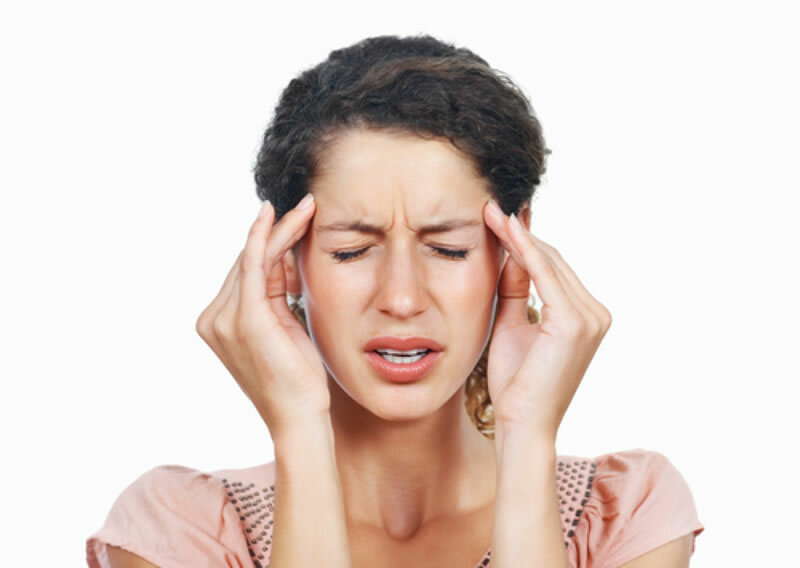 Chronic recurrent headaches as well as facial and neck pain are a common occurrence among adult Canadians. In addition, people frequently suffer from ear symptoms including pain, ringing, buzzing, loss of hearing or clicking or locking of the jaw which can make chewing, speaking or moving the jaw painful or difficult. 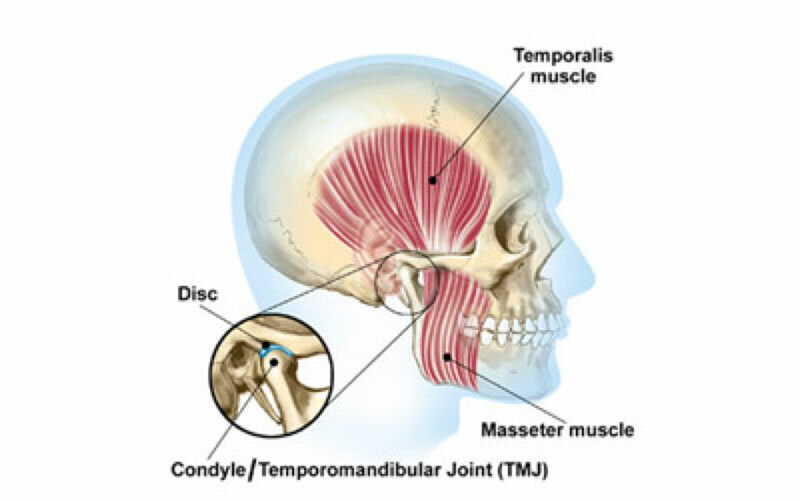 Today, it is well recognized that these often unexplained, undiagnosed and therefore untreated symptoms are related to a group of problems called, Temporomandibular Joint Disorders (TMD). If you are a sufferer or know someone who is, feel free to contact Sheridan Garden Dental for more information. Dr. Daniel Hyun and his dental team have the training and commitment to treat your TMD to restore your quality of life. 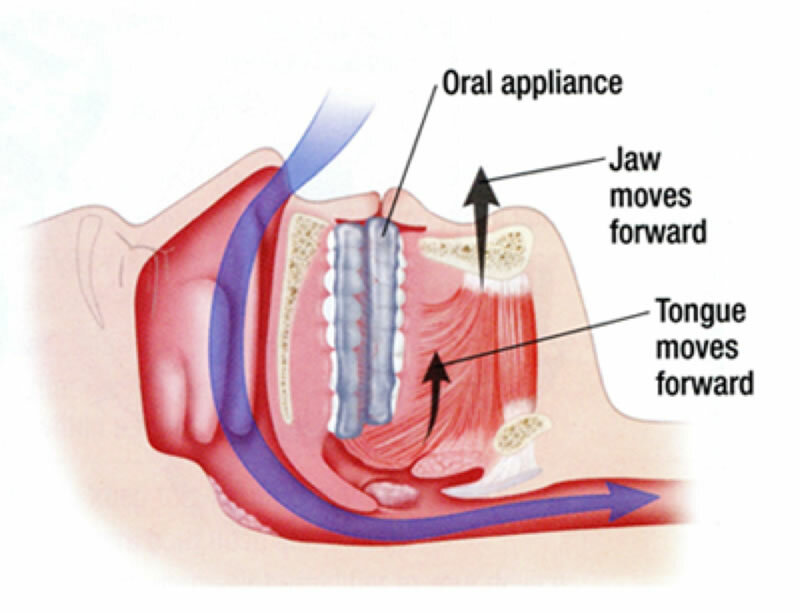 What Is The Connection Between TMJ And Obstructive Sleep Apnea? The connection between TMJ Dysfunction, headaches and sleep disorders is founded on the well documented co-morbidity of these diseases. Seventy percent of patients with sleep related breathing disorders clench and grind during sleep and they do it with 5 times more force than they would when awake. Dr. Daniel Hyun will evaluate and treat a patient who has symptoms or complaints of head or facial pain while taking into consideration their airway and sleep patterns. In recent years, snoring has been acknowledged as a warning sign that normal breathing is not taking place. For the majority of adults, snoring does not involve a serious medical disorder. However, snoring may be the first sign of Obstructive Sleep Apnea (OSA). The treatment of sleep apnea with a dental appliance will reduce and often ELIMINATE snoring for the person wearing the appliance. Sleep apnea can be a serious sleep disorder. People who have sleep apnea stop breathing for 10 or more seconds at a time while they are sleeping (one apneic event). These short cessations in breathing can happen up to 800 times or more every night. If you have sleep apnea, the periods of stopped breathing may wake you from deep sleep. If you are waking from deep sleep to light sleep all night long, however briefly, you aren’t getting enough restful sleep. What Are The Associated Symptoms Of Sleep Apnea? 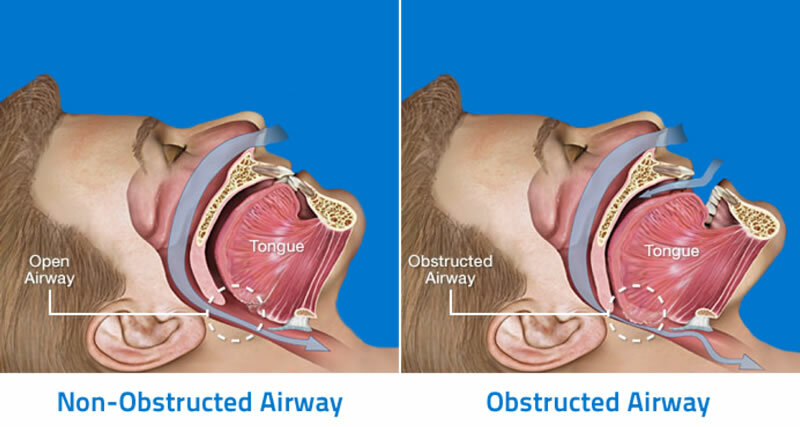 Sleep apnea is a potentially life-threatening condition that requires immediate medical attention. The risks of undiagnosed OSA include heart attacks, strokes, impotence, irregular heartbeat, high blood pressure and heart disease. In addition, OSA can cause daytime sleepiness that can result in accidents, lost productivity and interpersonal relationship problems. The severity of the symptoms ranges from mild to severe. Sleep apnea is a progressive condition, worsening with age, and should not be taken lightly. 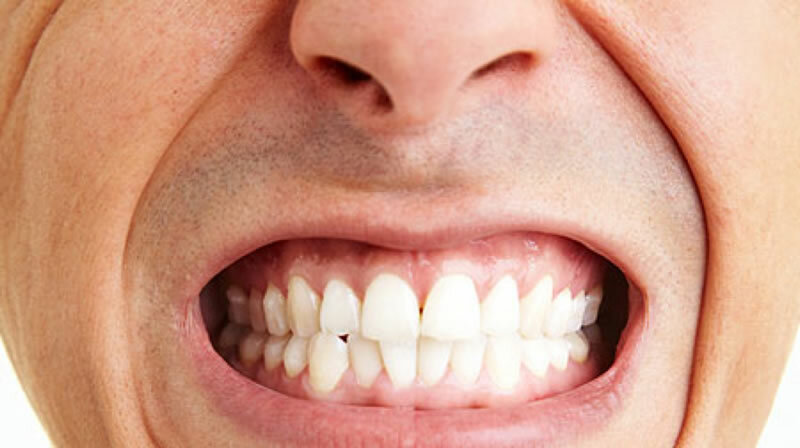 How Can Treatment With A Sleep Dental Appliance Improve Your Life? If you have sleep apnea, it may already have affected you in more than one way. Your quality of sleep, and therefore quality of life, will improve with improved sleep patterns and increased oxygen supply to your brain and rest of your body. The benefits of quality sleep will be seen in improving the physical, emotional and psychological aspects of an individual’s life. Book A TMJ, Snoring or Sleep Apnea Appointment Today! Contact Sheridan Garden Dental to book your appointment today!